LONDON -- A coroner says a British snake handler who died last summer was killed by contact with his pet python. Coroner Andrew Bradley said Wednesday that 31-year-old Dan Brandon died in August of asphyxiation after contact with his eight-foot python named Tiny. "She was coiling around him," the coroner said. Brandon's mother had told the court her son kept 10 snakes and 12 tarantulas in his room at the family house. 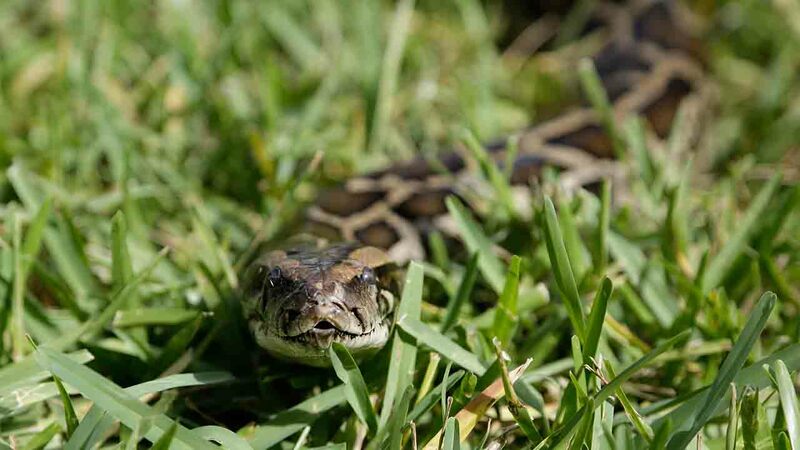 She said he had had Tiny, an African rock python since the snake was small enough to fit in his hand. She said her son loved the snake and regarded her as his "baby." She said he never felt threatened by Tiny.